Like the Mahabharat’s Abhimanyu, the Bharatiya Janata Party had cracked the chakravyuh—posed by the conflicting ethnic groups—in 2016, to enter the northeast. In Assam, Amit Shah, with the help of Congress heavyweight-defector Himanta Biswa Sarma, wooed Assamese and Bengali speakers, and the indigenous tribes, to form a rainbow coalition. The party celebrated that it had achieved electoral harmony of conflicting groups, which included tea garden workers from the Hindi heartland, and finished the 15-year rule of Congress chief minister Tarun Gogoi. The BJP’s cake was iced last month when Mizoram, the only northeastern state ruled by the Congress, went to the Mizo National Front. 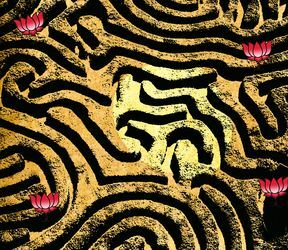 But, instead of further levelling the maze and making the rainbow glow, the BJP governments at the Centre and the state seem to have built a larger maze from which the party is finding it difficult to extricate itself from. The creation of this maze also became important because of the promises held out for a long term, and also during the elections, to woo different sections. The implementation of the National Register of Citizens was aimed at eliminating Bangladeshi Muslims without proper documents. But, the Citizenship (Amendment) Bill, giving permanent rights to refugees from Bangladesh (the bill covers refugees who are of Hindu, Sikh, Buddhist, Jain, Parsi or Christian faith, and includes those from Pakistan and Afghanistan, too), has caused problems in the entire northeast. The departure of the Asom Gana Parishad from the BJP-led coalition and the threatening noises made by the Bodoland People’s Front means shivers of uncertainty for Assam Chief Minister Sarbananda Sonowal, a tribal leader himself. In the 126-member Assam assembly, the NDA had 86 members, which has now come down after the withdrawal of 14 members of the AGP. If 12 members of the BPF also leave the coalition, then Sonowal will lose majority. Home Minister Rajnath Singh, Shah, Sarma and party general secretary Ram Madhav are the political quartet advising the prime minister on the northeast, with Sonowal being not very active. Then a clutch of military and intelligence officers are also giving strong feedback on issues involving foreigners and militancy. The Citizenship (Amendment) Bill has flared passions in other northeastern states like Manipur, Mizoram and Meghalaya, too. The local parties fear that the BJP is attempting to upset the ethnic balance by increasing the population of Bengali Hindus. Singh has been summoning chief ministers and political leaders to assure them that the ethnic balance would be maintained, but there are few takers at the moment, as there are strong feelings of alienation, bordering on xenophobia among groups. The bigger danger for the BJP ahead of the Lok Sabha elections is that the party’s intentions are viewed with suspicion by its own new-found allies. Sarma has quoted Singh in an interview as saying that the Centre would incentivise the Bengali Hindu migrants in Manipur, if they are prepared to move out of Manipur and settle in other states. However, this flies against the BJP’s larger national campaign that Hindus have a right in every state, in the context of the party campaign for the right of pandits to live and work in Kashmir valley. After aggressively using its majority in the Lok Sabha to pass the Citizenship (Amendment) Bill, the BJP is hoping that the pause provided by opposition resistance in the Rajya Sabha may help cool tempers in northeast, as it scrambles for a way out of the self-created maze.